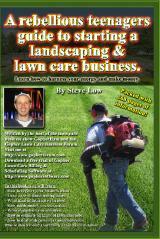 « A teen’s lawn care business flyer example. Most every town has a nicer area and a rougher area. 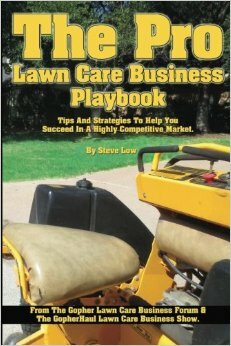 Nice lawns tend to be owned by people who care about what their property looks like and are willing to pay for lawn service. 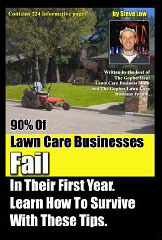 But what about those lawns in run down areas? Are they worth taking on? 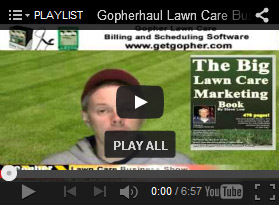 That is what one entrepreneur wanted to know in the Gopher Lawn Care Business Forum. 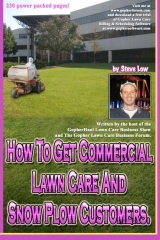 One lawn care business owner asked “I just got back from a call from my ad on Craigslist for lawn care and I have some issues about taking the job or not. 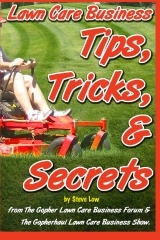 First of all it was in a rougher part of town, second there was no way to get to the front yard with anything but a 22″ push mower and you’d have to carry it up a set of stairs. The only other option would be to weed eat the entire front yard, which while not huge, was just not worth my time. Then the back yard was in a place where after you weed eat the front yard you’d have to drive the whole truck and trailer around the block to get to the back yard, which was full of dog crap and had a mattress and other stuff piled up. I figured it would take 15 minutes to mow and trim, and if I charged $25 plus an extra $10 if the dog crap wasn’t cleaned up, it still wasn’t a yard I wanted. As politely as I could I told the guy I just couldn’t get my equipment in here. Was this a wrong move? 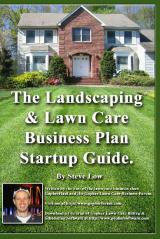 Should I have taken the job being that I’m just starting out and need the business? 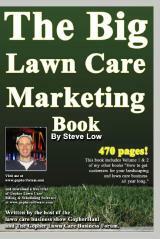 A second lawn care business owner responded “you would have regretted taking it. You can tell a crap job when you bid it. 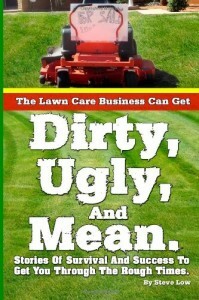 There’s no reason to believe the yard will ever be cleaned up. I just bid three yards for one guy. One is just like the one you described above. A fenced in backyard with no gate. 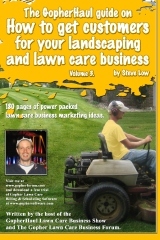 You have to bring a push mower down two flights of stairs and then up to leave. I didn’t have a choice to bid all 3 since there close enough together. 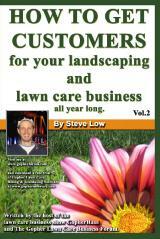 A third added “I’ve had calls for a few of the yards as you described. (and turned them down). Overall, I have a pretty mixed bag of properties that I’ve gotten from Craigslist. 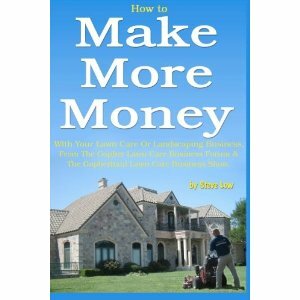 To say that wealthy people don’t use Craigslist is just not accurate. I can’t tell you what you should or shouldn’t take, but I will say this as a new guy going into my second season - If you fill your schedule with low-pay jobs, you won’t have any time left for higher paying jobs when they present themselves. 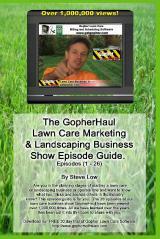 I’ve retained almost all of my clients from my first season. I have a limited amount of spaces left to fill now and I’ve already turned down several jobs this spring because I either (a) Don’t WANT them, or (b) don’t want to work a low-paying job that I will regret taking. I just picked up a biweekly that I’m getting $50/cut for. It’s not terribly difficult and I think I can trim the time down to about 35 to 40 minutes after I get more familiar with it. Why fill that slot with a $15-$25 job? 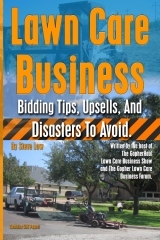 This entry was posted on Friday, July 1st, 2016 at 2:18 pm	and is filed under How to Estimate - Services To Offer, How to get, Lawn Care Business, Lawn Care Customers, Marketing, Marketing on Craigslist.com, Mowing, Pricing, Residential Customers. You can follow any responses to this entry through the RSS 2.0 feed. You can leave a response, or trackback from your own site.